With such a lot of talk about ecommerce and brands generating sales there’s still a large amount of b2b companies who are missing out on business through natural search. The normal scenario seems to be “we need to do social media” or “we need to do digital marketing”. One common reason for this is what’s known as the person with the largest paypacket says we need to do this. Online marketing has sometimes had too much of a focus on getting users to convert on site there and then otherwise you lose them forever. Think of it more like making a friend, you have to get to know your customer first before asking them for anything so why not give them a little but not a lot. A whitepaper download or how to guide is an excellent way of educating your audience just enough that they want to find out more. spreadsheet, add the details to your CRM. ease of use try out mailchimp. Your boss has been asking you to get your company on the digital landscape and sorry to tell you folks its not all about digital. Look at other digital channels such as sharing content you publish on your blog on high traffic and relevant B2B networking sites such as linked in. More importantly make sure that you solicit at least 5-10 requests for relevant guest blog posts that will help you get exposure. 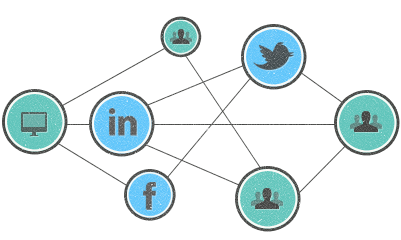 Also driving users to different touch points such as encouraging email users to your social media profiles is also important. Relevancy is key, but don’t generalize until you,ve tested! I’ve heard a few times’ facebook doesn’t work for business to business. In my industry a lot of my friends who work in online marketing are on facebook, and although it doesn’t do a lot in terms of direct conversions, it certainly will help with brand presence and referrals. If you want to leave your comments about B2B marketing we’d love to hear from you. Climb Digital provide the SEO element of B2B marketing and this is only an introduction to our take on it.